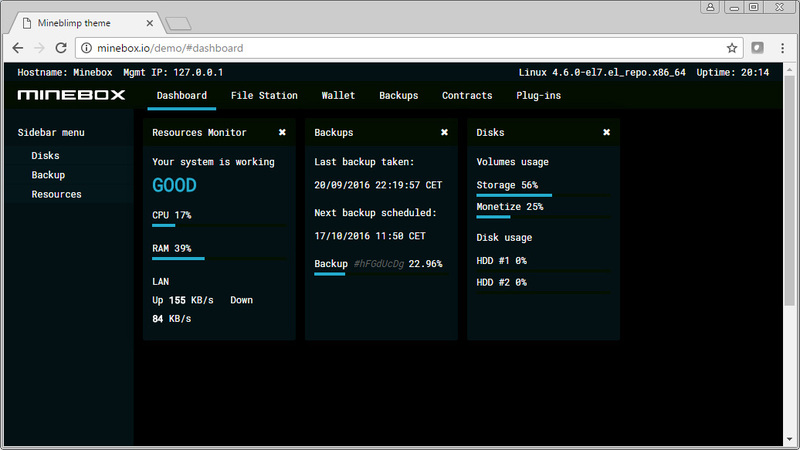 The creators of the Minebox NAS storage with support for SIACoin (SC) have made available an online demo of the xOS interface that their devices apparently use, allowing users to get a feel on what to expect from the devices. Minebox is still running their limited pre-order of 200 units with 138 left to go, so you can still reserve yours if you are interested in the project and also want to support it. 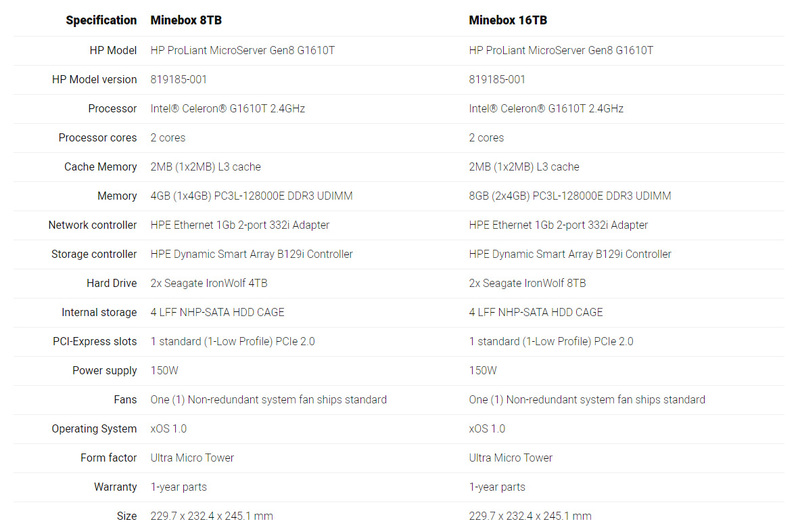 The sale is running a bit slow with some users not liking very much the higher price of the devices, but then again getting an NAS solution with the same HDDs for storage probably won’t be much different price wise and it will not have the features Minebox has. 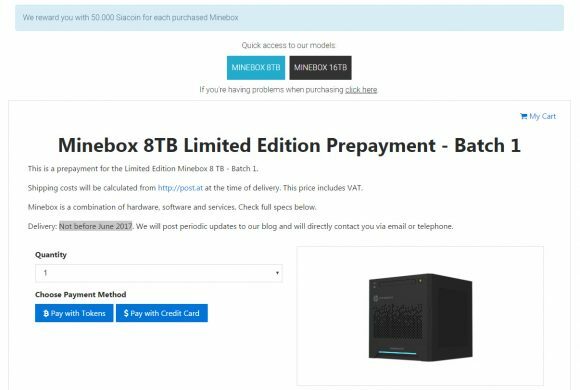 Minebox has started taking pre-orders for their Minebox NAS device that will also run SIACoin (SC) and take advantage of the free space you have available on the network storage device to get you coins. This way you not only get a device for securely storing your data, but also one that may pay for itself over time by generating crypto coins for you. The initial pre-order run is for just 200 units, so you might want to hurry up and reserve your early device now. The price for the pre-order is set at 750€ (EURO) for the 8TB version and the 16TB version is priced at 1470€ (EURO) and you can pay wit either crypto coins or by credit card. Do note that these are discounted pre-order price as the regular price will apparently be higher and as a bonus you also get 50.000 Siacoin for each purchased Minebox during the pre-order. Deliveries of the first devices are supposed to start not before June 2017, so there is some time before you will be able to get a Minebox NAS in your hands and start using the device. The Minebox NAS is a device for storing your own data securely as well as for making use of your free and unused space by earning a blockchain powered cryptocurrency thanks to the integration of SiaCoin (SC). 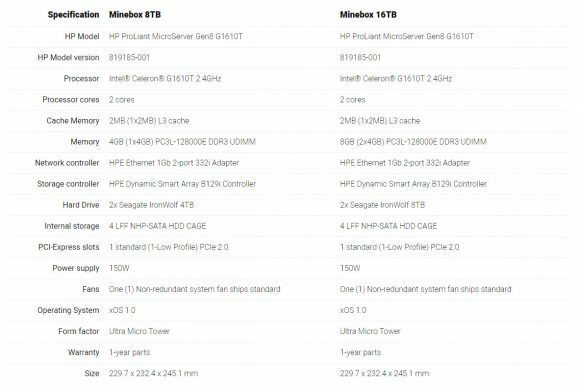 Minebox is based on affordable Enterprise grade hardware from HP, namely the HP MicroServer and the whole project is an interesting idea worth following, so if you still haven’t checked the details, than you might want to get a better idea on what the whole thing is about.